"I have no greater joy than to hear that my children are walking in the truth." (3 John 4) We experienced this joy in a recent follow up visit to the Village of Hope in Northern Uganda. In April, we taught freedom and identity in Jesus to leadership of Village of Hope, an organization that has taken 250 children out of internal displacement camps (IDPs). These camps were the result of the mayhem of rebel Joseph Kony, who turned children into soldiers and forced many to kill their own parents. Most of the abducted kids have grown and moved on but their siblings remain and suffer scars by the past. A few of the former child soldiers still live in the camp with unspeakable memories. The leadership at the Village of Hope fully embraces the message that we are who the Bible says we are as believers in Jesus - accepted, secure and significant in God's eyes. Several leaders said it was life changing and they are eager to teach and model this to the kids. Mark preached to the kids and they got it! This was confirmed in our recent follow up trip. Many of the kids are no longer victims of the past. They now know their heavenly Father who loves them as believers in Jesus. They see themselves as the beloved they really are. Bad behaviors and destructive habits have changed. Several leaders also confessed their own lives changed. They have been relieved of the burden of not forgiving others which had held them back. A great testimony of how the teaching is ingrained in the kids' DNA is the song "Who Are You?" that they composed and offer unto the Lord. Click on the picture and enjoy the 4 minute 30 second music video! Last time we wrote about our own Jericho experience as God challenged us to chart a new course and depend on Him to acquire land in Africa for a Rock discipleship house and ministry center. Just as God provided unconventionally for the Israelites’ first acquisition in the Promised Land by delivering Jericho through marching and shouting, so He has overcome our steep walls and given The Rock its first half acre in Uganda! Praise Him and many thanks to faithful Rock supporters who responded to the vision. Like the Israelites who saw the rest of the Promised Land before them after Jericho, we know there is more to come for The Rock as we have our eyes on an additional adjoining .6 acre at a cost of $80,000 to implement fully the vision of the original plan. The land God has provided adjacent to Uganda Christian University overlooking Lake Victoria is for Kingdom View, which will serve as a magnet of ministry operations in East Africa to draw those wanting to grow in their faith, leadership and discipleship. 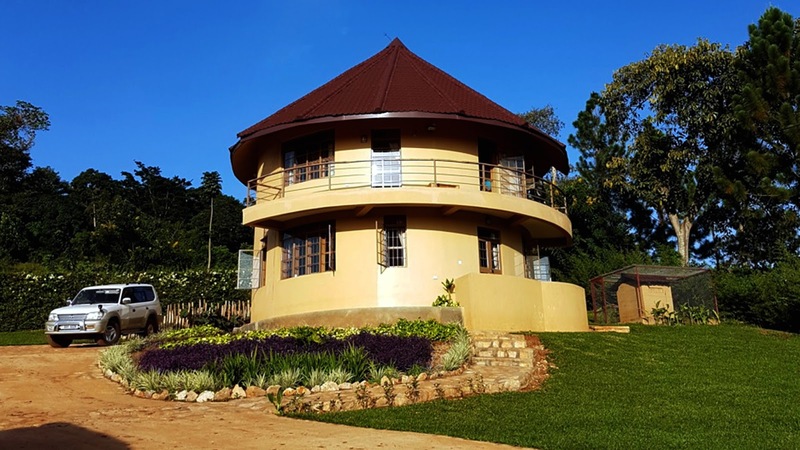 We will be in Uganda Sept. 12-Oct. 8 to begin work on architectural renderings, as well as meeting with other ministries wishing to use the future facility. In addition we will continue our teaching and equipping of other ministries and university students on Freedom and Identity in Christ; God’s Plan for Men, Women and Marriage; Doing Business God’s Way; and Practical Life and Problem Solving Skills including assisting recent university graduates in their job searches. Some immediate needs are to purchase 12 additional Life Application Bibles for eager disciples in Africa to deliver on this trip. The cost is $35 per engraved Bible, or $420 total. Also, while the Lord has provided for the land purchase so far, it has left us stretched to cover the costs of this trip and training. We need $1,000 to train church leaders from Uganda and Kenya on starting small groups to address spiritual warfare including witchcraft. approach to address root spiritual issues holding back Africa. Consider how Joshua's fighting men might have felt as they passively walked around the seemingly invincible fortress of Jericho for six days. How futile and foolish these challengers must have looked to the city's guards staring down at them from walls 25 feet high and 20 feet thick. God directed Joshua to have his armed men walk around the city for six days behind seven priests carrying the ark of the LORD. On the seventh day they walked around seven times before the priests blew their horns and everyone else shouted. The walls then crashed and the city was overrun by the Israelites. As improbable as it sounded, it worked because it was of the LORD who already had determined to hand the city over to the Israelites as their first conquest upon entering the Promised Land. Our Rock board believes our Jericho moment has come in following God's lead to build the Kingdom View Fellowship and Guest House in Uganda. We need $150,000 for Phase One which includes purchase of land. The land may not be available after July 5. It's a tall order, but we are affirmed in God's leading and sufficiency by the story of Jericho. God will get all the glory for Kingdom View, just as He left no doubt the battle belonged to Him at Jericho.